Trying to make your dumb home smart can be trying at times as you shoehorn the modern world into systems that have been installed in the walls for decades. Perhaps the dumbest part of your home is the garage door opener. 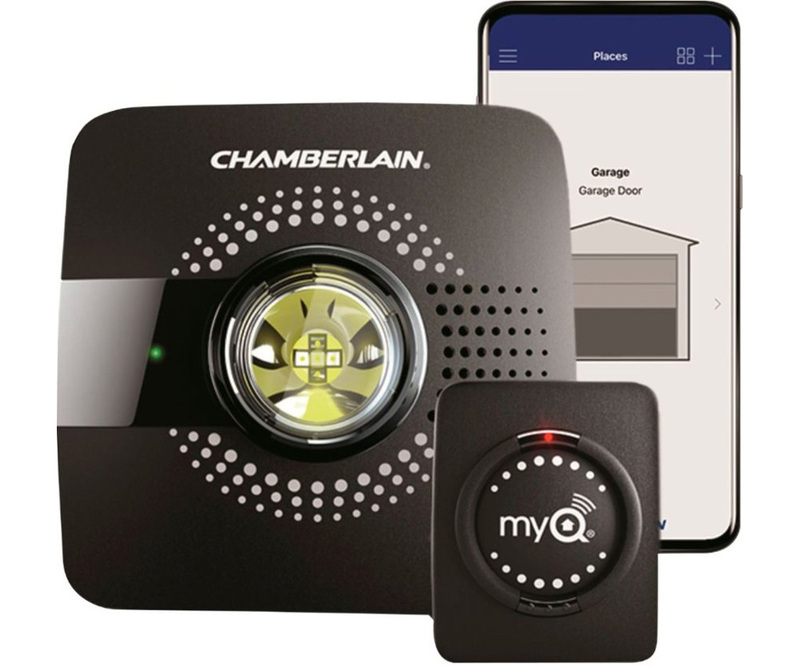 There are several (bad) options for adding smarts to the garage, but Chamberlain's MyQ is the clear winner. It's a bit spendy at $79 most days, but you can get a no-strings-attached $20 discount right now. The MyQ is essentially a Wi-Fi capable remote for the door that lives in the garage. When you send a signal using the app, the MyQ triggers the door using the same wireless signal as your standard remote. It supports most garage doors, and setup is usually painless. The Android app used to be a mess, but it's improved with recent updates. You can get the sale price at various retailers like Best Buy, Amazon, and Chamberlain's online shop. If you're a prime subscriber, that's probably the way to go. the MyQ on Amazon has free one-day shipping in many areas. Keep in mind, the app control is free, but automation via Google Assistant and IFTTT cost $1 each per month. Yes, it's dumb.